K9 Hurricane, K9 Jordan. Secret Service photo. As a former police dog handler, last Wednesday’s White House intruder incident made me both proud and angry. K9 Hurricane and K9 Jordan performed their duties well. The suspect, whom I won’t name out of thorough disdain, pissed me off with his disrespectful stunt. In the widely shown video, Jordan takes a pretty hard front kick to the head from the suspect. Hurricane is punched repeatedly. The dogs stay in the fight until the Secret Service uniforms arrive. This fast-paced perimeter protection is perfect for the dogs’ talents. 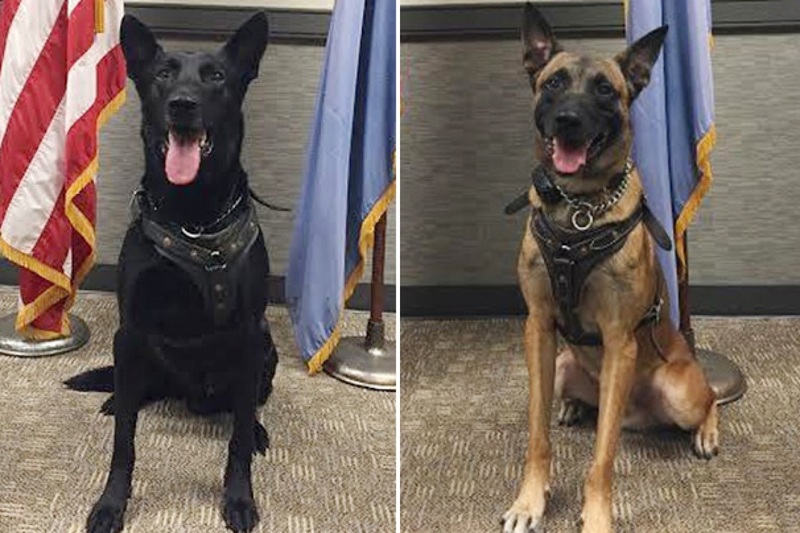 The speed, tenaciousness, and ferocity of the Belgian Malinois make them ideal as security assets for open areas such as the White House Complex. The K9 Unit’s main job is to detain, or at least obstruct, an intruder attempting to penetrate the secure space. The dog is a sort of less lethal smart bullet, homing in at 25 mph on the evasive bullseye. He is sent to capture the suspect, but he needs the help of his human partner to close the deal. A K9 team fights together, which is one of their greatest strengths. A bad guy may beat one of us, but not both of us. While the dogs were successful this week, the fence jumper who actually entered the White House in September made it past the Secret Service Uniformed Division and its K9’s. A handler on duty that day said he could not release his dog because it had not targeted the intruder. That can be problematic for the man-end of the leash. The canine does not always understand the situation as the handler does. With the bad guy and a gaggle of officers running around, sometimes the K9 gets confused about which one he’s supposed to hammer. While a seasoned patrol dog, with good socialization to the police officers, can recognize a general citizen from uniformed cop by sight, smell, and situation, the K9 is not infallible. Just as a human can be stymied by chaos, so can a dog. Although I am sure both of the recent WH intruders will claim mental incompetence as a defense, it is hard for me to accept that they did not know right from wrong when they were scaling fences, ignoring the lawful commands of the security detail, fleeing from officers, fighting with the dogs, or actually entering the off-limits building. I am confident that after the September breach, the K9 deployment plan for the White House grounds was examined and adjusted to provide better overlapping coverage. This may be why Wednesday’s suspect ended up in the sights of two Secret Service dogs. When applied properly, a trained K9 dog can perform jobs replicated by no other means. If a robot could interdict people or drugs better, it would be on the field. It’s not. But no automaton can ever replace the companionship, loyalty, and friendship of the Canis Familiaris. Dogs Win on K9 Fight Night! That would be my headline for last Wednesday.